I just finished building the box joint jig from your plans. It works very well, though I had some difficulty at first in getting a perfect fit for the fingers. 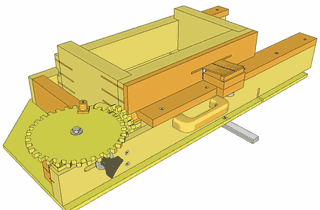 I had to tweak the size of the dado with shims to get it to match the distance movement of the gear advance. 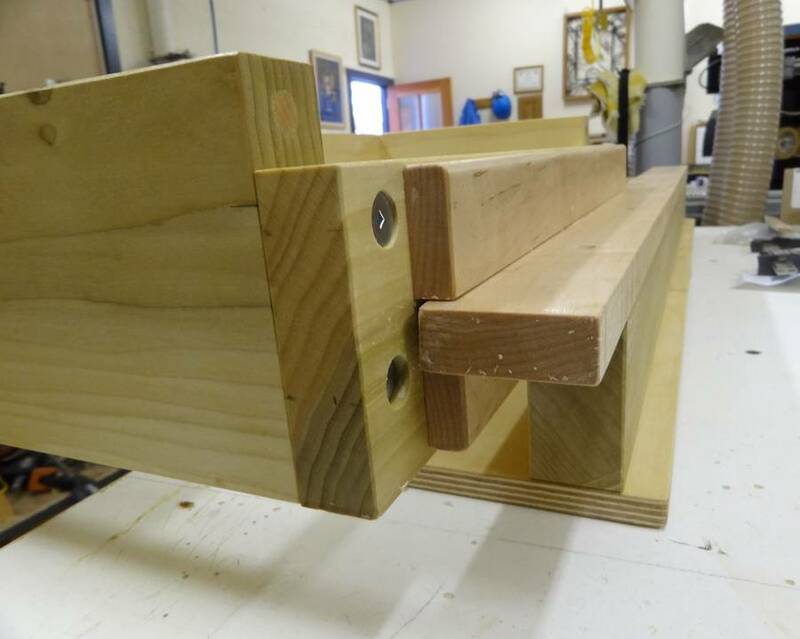 Perhaps some simple instructions on the use of the jig would be helpful along with the plans. I have several videos on that topic online. But the fact increasing the finger spacing makes the joint tighter is always counterintuitive. I often make adjustments in the wrong direction myself. 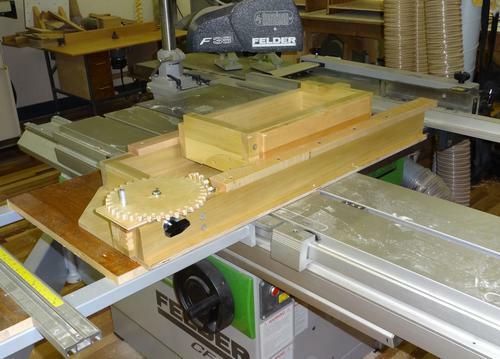 Here's a couple of pics of the jig bolted on to the sliding table of my Felder 731 machine. I built the box and frame pieces from yellow poplar, with maple for the rails. I modified your design for my needs. 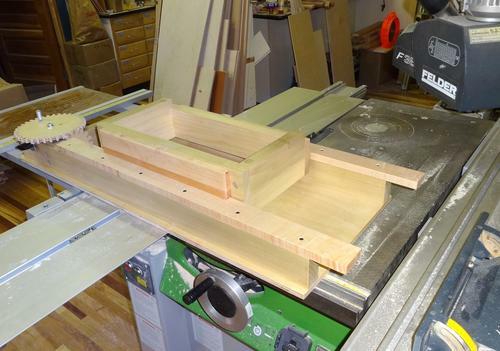 I needed to make the box larger, to accommodate pieces that are 16 inches wide for the tool chests that I make. 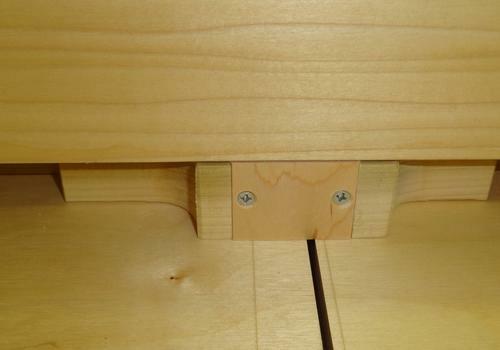 Since I make them from Baltic birch plywood that is sometimes slightly warped, I need to be able to clamp them securely with more than one clamp. 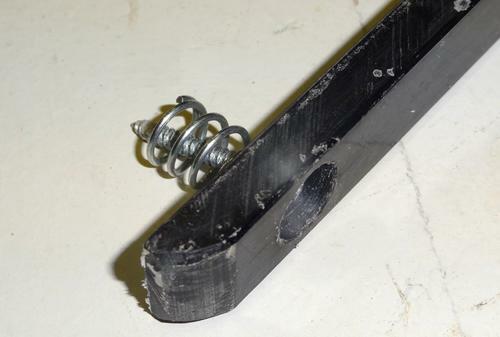 That meant that your idler assembly would sometimes be an obstruction. 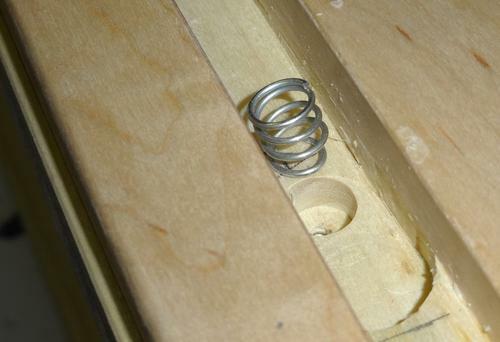 I eliminated that and added a spring-loaded gib on the back side of the box. 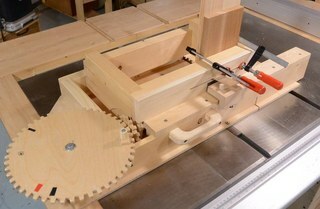 It serves the same purpose and keeps the box tightly against the dovetail. 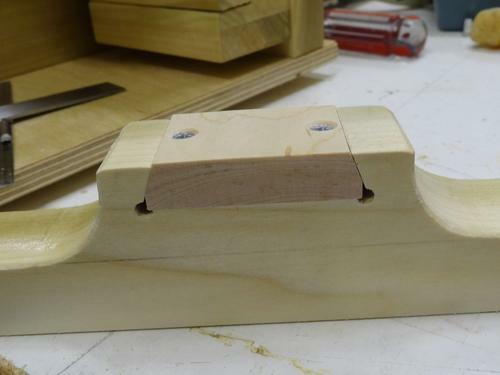 To do this I added maple guide rails on the back side of the box, cut a shallow stopped groove in the box rail and made the gib from some 3/8 polycarbonate that I had. (I would have preferred HDPE, but I did not have any on hand.) 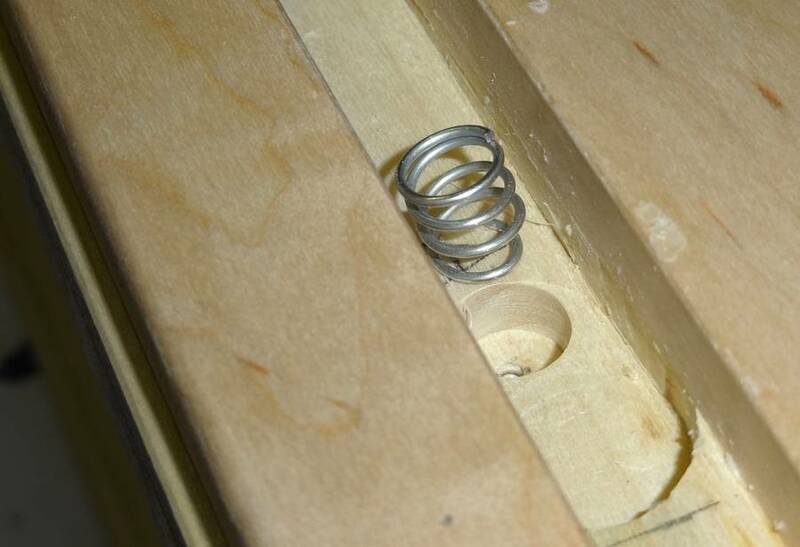 The gib is held in place with 4 screws that can also adjust the amount of spring tension. I rubbed the wood and gib with paraffin wax, which makes it slide nicely. 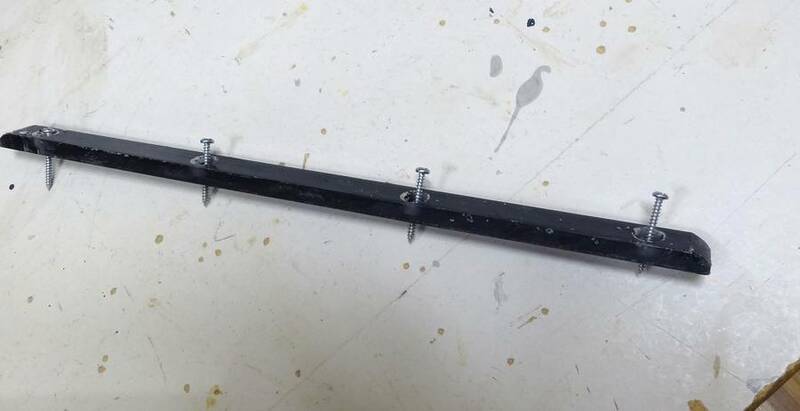 I thought about adding tension this way as well, but opted for the idler at the front to avoid pushing the guide rails apart. Pushing on the guide rails apart puts a bending stress on the floor of the jig, which, depending on what it's made of, may cause it to bow up with time. Never had a need to place a clamp where the idler roller is myself. 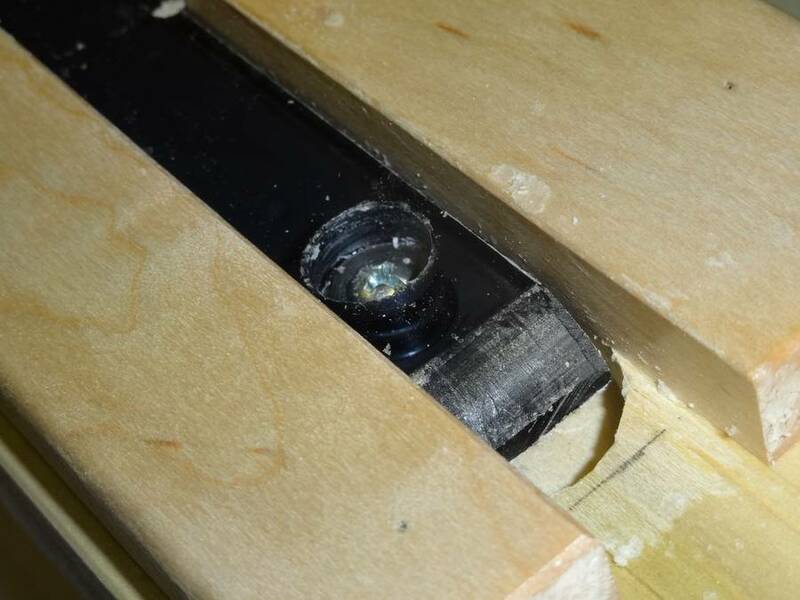 Since the plywood also is prone to tearout on the exit of the cut, I added a renewable chip breaker inside the frame that is flush with the inside surface of the box. It works well. Thanks again for your great design.